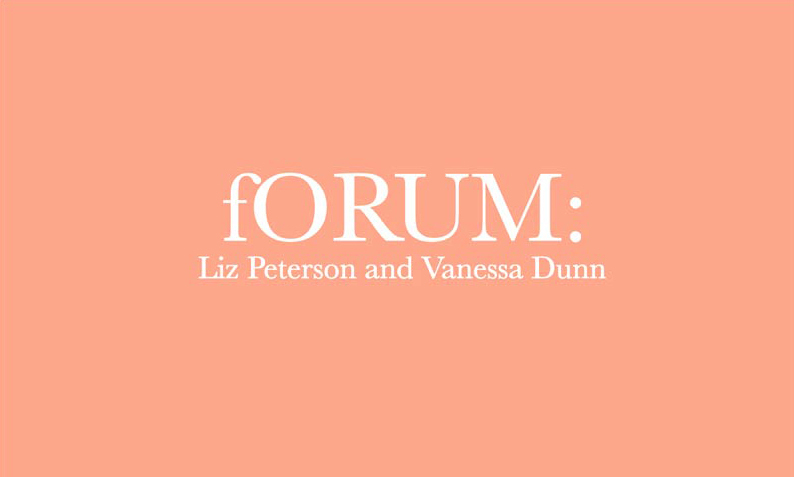 Mercer Union is delighted to announce that Liz Peterson and Vanessa Dunn will be the next guests in our fORUM critical conversation series. Please join us on Thursday 28 April at 7PM. Doors will open at 6:30. Peterson and Dunn will present a lecture-performance that examines the experience of performing as a body in space. When does a performance, if ever, become the real deal? Through a combination of scripted and improvised scenarios, Are you the real deal? Meditations on legitimacy will look at how performances are shaped and framed, reflecting on both the role of the audience and the performer. The performance will include a Q&A. Liz Peterson is a performance-maker and actor. Bridging devised theatre, improvised dance, stand-up and installation, her work has appeared most recently in the SummerWorks Festival (Toronto, 2015, 2014, and 2011: Winner of the Vanguard Award for Risk and Innovation); the AGO (Toronto, 2014); experimental comedy night Doored (Toronto, 2014); NAVE (Santiago, Chile, 2015); Forest City Gallery (London, ON, 2016); and The Art Museum (Toronto, 2016). In 2010 Liz founded Events In Real Time with collaborator Sean O’Neill. She also frequently collaborates with Public Recordings, Life of A Craphead, Oliver Husain, and Rose Plotek & Philip Mckee. Vanessa Dunn is a performer, activist and lead singer of Vag Halen. Dunn’s practice has developed through the organization of performances, parties and karaoke nights, establishing her as an active and vocal member of Toronto’s queer community. For several years Dunn co-owned and operated the Hen House with her wife, Katie Ritchie. With Vag Halen, Dunn has performed at the Venice Biennale, Luminato, the AGO and has toured nationally and internationally. As an actor she has worked with Events In Real Time, Phil McKee, Alex Wolfson, and most recently appeared in Christina Zeidler’s feature film Portrait of A Serial Monogamist. In May, Peterson, Dunn and co-collaborator Leslie Katz will develop and perform an adaptation of Genet’s The Maids as part of Harbourfront Centre’s annual HATCH residency series.